Getting out and having fun with the family is a goal that many of us have. The problem comes when deciding what to do and when. If you are undecided about what to do, think about kayaking or canoeing as a way to foster togetherness. The great outdoors is full of fresh air and nature’s goodness. Too often, on breaks and vacations, we are inside performing activities that are mostly sedentary. We watch television, play games or simply relax. Get the family together and moving on the waterways in your area. Kayaking is often a solitary sport but it doesn’t have to be. Yes, only one person can fit in the boat but there is no rule that says only one kayak can sail the waterway at a time. Before you kayak, it is best to take lessons to learn how to maneuver the craft and stay safe. Each person needs to wear safety gear (like life vests) and the appropriate clothing for prolonged time around and in the water. Before you buy any gear, try kayaking to see if you like it enough to do it again. Kayaking can be done on rivers, lakes, open water (the sea) and on the rapids. Going from calm waters to rougher ones are for those who are experienced kayakers. Canoeing is done in an open craft that will hold one or several people. Each person sits in a different row and all can help paddle. When canoeing rivers and lakes, it is easier to have a guide help you navigate the waterways so you and your family can concentrate on enjoying the time together. A guide will also tell you how to paddle and conduct yourself in the boat for safety. Canoeing can be done just about anywhere. Many campgrounds offer canoes for rental, as do outdoor park attractions. Your kids can see a new side of their environment and you can spend time with your kids learning an exciting new outdoor activity. Consider a canoeing vacation. Find a place that specializes in outdoor trips and sign on for stress-free fun. Now you can try it out first. Both kayaking and canoeing will work the muscles of the upper body. Paddling is hard work even when there are many of you in a canoe. By the time you are done, you will have burned hundreds of calories and build some muscle. Your muscles may be sore at first but that will subside as you participate more and more. You also build your cardiovascular endurance. It takes lots of energy to power a water craft. Your heart and lungs get a great workout each time you go out. While we can all agree that health benefits are invaluable, spending time with those you love has no price. 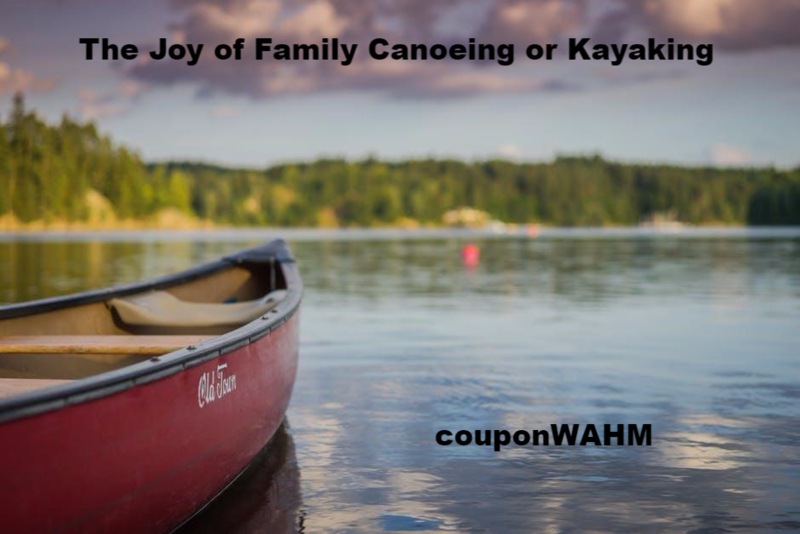 Kayaking and canoeing offer time with family to talk, meditate and reconnect. Besides all of that, you are learning something new – together. Looking for a fun family sport? If you are a good swimmer and like water adventures, take up canoeing or kayaking with your family.